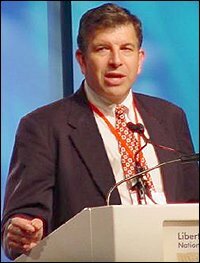 This week Visibility 9-11 welcomes Constitutional expert Michael Badnarik. Mr. Badnarik ran for President of the United States in 2004 and was actually arrested when he dared to cross police lines in protest of being excluded from the Presidential debates of 2004. He also teaches an 8 hour class as an introduction to the Constitution and has written a book about the Constitution titled Good to be King; Foundations of Freedom. For more information, visit Michael’s website at Constitution Preservation. 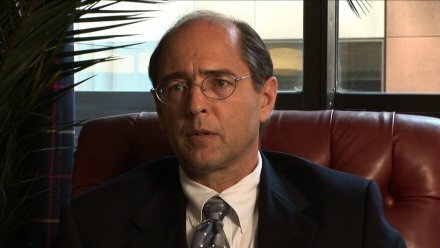 This interview includes a frank discussion about the usurpation’s of the Constitution since 9-11 through the USA PATRIOT Act and the Military Commissions Act, George Orwell, and some of Mr. Badnarik’s doubts about the official story of 9-11 and his support for a new investigation. This discussion focuses around the AE911 slogan, “9/11: Re-examining the 3 WTC high-rise “collapses” and includes information relevant to the fall of the Twin Towers and WTC7 as well as the recently released and long awaited NIST report in the implosion of building 7. Erik recently penned an article titled MAYDAY…MAYDAY…MAYDAY which documents his path aimed at truth, justice, and accountability for those truly responsible for the events of September 11th, 2001. Visibility 9-11 enthusiastically supports Erik and all his fine efforts. Ending music by the Anthony Brown Orchestra(Gershwin). 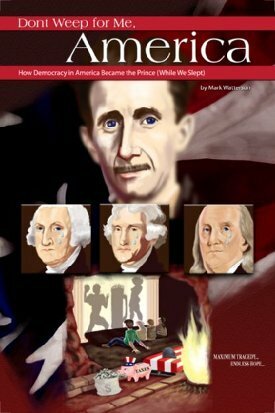 This week Visibility 9-11 welcomes Mark Watterson, author of the new book Don’t Weep for Me America; How Democracy in America Became the Prince. Mark Watterson masterfully brings together the information required to really understand what is going on in America today. Watterson explains in great detail how our government has transformed into a rogue state willing to commit false flag terrorist events against its own citizens. This is the best book I have ever read which will help the reader connect the dots between major events in our history. Citing numerous examples, Watterson paints a dim picture of a tainted history which has been re-written for public consumption by those who own the media in America. Don’t Weep for Me America, despite being packed with a lot of information, is written in a very readable and logical manner with a passionate, yet very personable style. Readers will be led through a series of important underlying themes which include and introduction the the monumental work, 1984 by George Orwell, the allegory of Plato’s Cave, Alexis de Tocqueville and his book, Democracy in America, and Niccolo Machiavelli, who in 1513 penned the book The Prince. This book comes highly recommended by Visibility 9-11 and will be a valuable tool, both in the terms of the knowledge you will gain by reading it and as a tool to wake friends and loved ones up about what is really going on in America. Don’t Weep for Me America is the Red Pill and will wake people up. No one who reads this work will ever see the world the same again. Intermission music by Anne Waldman. Ending music by The Dixie Chicks. This week Visibility 9-11 welcomes former diplomat from the State Department’s Foreign Service J. Michael Springmann. Mr. Springmann served postings in Germany, India, Saudi Arabia, and the Bureau of Intelligence and Research in Washington D.C. He is a published author of several articles on national security themes, and is an attorney in private practice in Washington D.C. This week, Words of Freedom host Michael Wolsey welcomes Tim Boyle, 9-11 activist and co-founding member of Colorado 9-11 Visibility. Tim has been active in the Denver area since 2004 and has been an integral part of the 9-11 Truth Movement in Colorado. 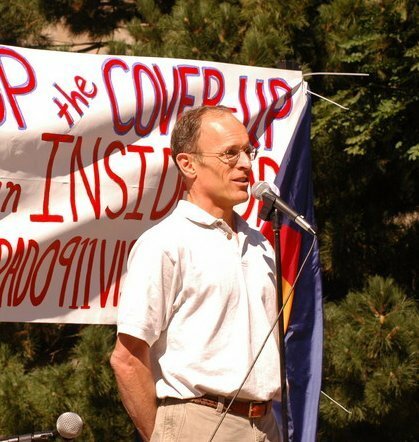 Tim has organized several large 9-11 events in Colorado and has traveled the country seeking answers to the questions of 9-11. Words of Freedom airs on KRFC 88.9 FM in Fort Collins Colorado and is heard worldwide on the web at krfcfm.org every Monday evening at 5:30 p.m. Mountain Time. Michael Wolsey is the host of Visibility 9-11, the podcast dedicated to exposing the fraud of the official story of September 11th, 2001 and along with George Flynn, co-hosts the weekly Words of Freedom broadcast on KRFC. This week, Visibility 9-11 Welcomes Arizona State Senator Karen Johnson to the program. Long time freedom advocate, Senator Johnson recently drew fire in the media for her outspoken advocacy for the truth to come out regarding the September 11th attacks. 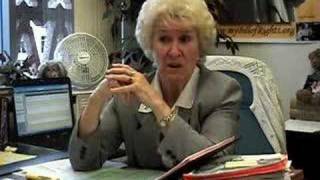 On June 10, 2008, Senator Johnson gave an historic speech on the floor of the Arizona Senate where she honored Blair Gadsby, the 9-11 Truth Movement, and called for a new and independent investigation into the events of September 11th. Departing from the norm of providing an evidence based 9-11 informational resource, this interview focuses on a more personal side of the Senator, her background and motivations for America, media control, the hope for justice, and an end to false flag terrorism in America. This lady is the real deal and was an honor to have her as a guest on the program; don’t miss this one. THANK YOU Senator Johnson! Intermission features The Declaration of Independence from Words of Freedom by George Flynn.